It goes without saying that if you have a problem with your feet you’re not going to be able to enjoy your life to the full. With the entire weight of the body bearing down on our feet it is no wonder that countless Australians experience complications and difficulties with them every year. However, while there are plenty of home remedies and self-professed foot gurus out there ready to make a quick buck, the reality is that when you want to address a problem with your feet only a foot specialist will do. If you need a podiatrist @ Wilston that you can depend on to thoroughly examine your feet, determine the root cause of where your pain is coming from and a team that can deliver solutions to benefit your body into the future, then look no further than the professionals at Walk Without Pain podiatry clinics. Between us, we have more than a century’s worth of experience combined and when you meet with one of our nine consultants you can take comfort in the knowledge that we have ‘been there’ and ‘fixed that’, no matter what your issue is. At Walk Without Pain, we are a local business, which means our clinics are exclusively in Brisbane and that means you get a much more personalised service, which includes follow-up podiatrist support. Here at Walk Without Pain, we seek to make podiatry a little more affordable. No matter which of our clinics you attend, you can access health insurance rebates on the spot with HICAPS. 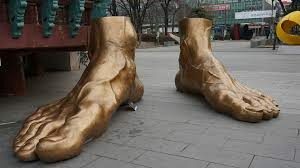 And, given our alliances with BUPA and Medicare Private, we can often offer preferential rates to our patients that they may not be able to avail of with any other podiatrist Wilson. You will also find that our orthotics choices may be both broader and less expensive than those offered by our competitors. We achieve this because we are not a franchise operation that is financially affiliated with a specific laboratory, and so we can choose to design and manufacture the best orthotics for you. Our range of orthotics is thus the broadest it can be and our revolutionary solutions have brought comfort to scores of Wilston natives. There are many complications that can arise in your feet that affect your whole body. Your duty to yourself is to recognise them and then seek out the best advice you can access to ensure that further issues do not present as a direct result. The team here at Walk Without Pain has extensive experience working on all manner of foot problems so everything from plantar warts to shin splints to heel spurs and everything in between can be properly addressed so that you can move comfortably again. We encourage those that need a podiatrist Wilson to use the online booking system to secure an appointment today. In the hands of our team here at Walk Without Pain, you can reclaim your freedom and take positive steps into a more fulfilling future.